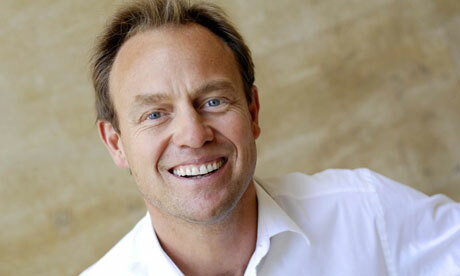 Jason Donovan to reprise role as Tick in Priscilla Queen of The Dessert. – East Midlands Theatre. Jason Donovan to reprise role as Tick in Priscilla Queen of The Dessert. David Ian Productions and the Ambassador Theatre Group are delighted to announce that JASON DONOVAN will play the role of ‘Tick’ in the UK tour of the international smash hit musical PRISCILLA QUEEN OF THE DESERT. The tour will visit the Royal Concert Hall Nottingham from 18 – 23 January 2016. JASON DONOVAN reprises the role of ‘Tick’, the part he played when the show originally opened in the West End and its subsequent tour in 2013. He has had a hugely successful and varied career as both an actor and world-wide recording artist, selling over 13 million albums to date. As well as “Priscilla Queen of the Desert” his other West End credits include the title role in “Joseph and the Amazing Technicolor Dreamcoat” and ‘Caractacus Potts’ in “Chitty Chitty Bang Bang”. His touring credits include ‘Captain Von Trapp’ in “The Sound of Music”, ‘Frank N Furter’ in “The Rocky Horror Show”, the title role in John Doyle’s production of Stephen Sondheim’s “Sweeney Todd” and ‘The Artilleryman’ in “The War of the Worlds”. He can currently be seen as ‘Lionel Logue’ in “The King’s Speech”. His television credits include “Neighbours” and “Echo Beach”. He was also a finalist in ITV’s smash hit “I’m A Celebrity Get Me Out Of Here!” and reached the final of “Strictly Come Dancing”. Get ready for the ride of your life! Based on the movie, PRISCILLA QUEEN OF THE DESERT THE MUSICAL is the heart-warming, uplifting adventure of three friends who hop aboard a battered old bus searching for love and friendship and end up finding more than they could have ever dreamed of. With a dazzling array of outrageous costumes and a hit parade of dance floor favourites including ‘It’s Raining Men’, ‘Say a Little Prayer’, ‘Go West’, ‘Hot Stuff’ and ‘Always on My Mind’, this wildly fresh and funny new musical is a journey to the heart of FABULOUS!